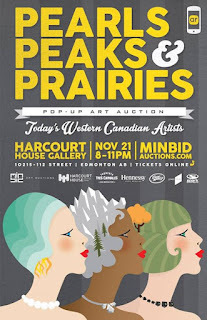 I am glad that we chose Peter Lougheed as the subject of my live painting at Pearls, Peaks and Prairies, a pop-up art auction put together by a company called MinBid celebrating western Canadian artists at the Harcourt Gallery in Edmonton. I'm glad we chose the former premier because of a question that was asked several times throughout the evening as I painting: "I'm embarrassed to ask, but who are you painting?" Many of the attendees weren't even born by the time Lougheed left the Premier's office in 1985. 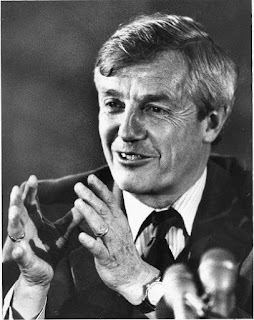 Even though he was arguably the most successful leader we have ever had - many of the cultural institutions that we know and love today emerged during the period when he was Premier - the millennials don't have a connection to him. I think that's sad. If a painting can spark a conversation, a flame of interest, a curiosity, then that makes me happy. 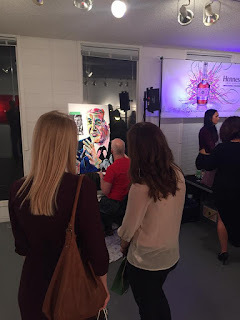 It was fun doing the live painting in a very unfamiliar setting, largely surrounded by strangers. 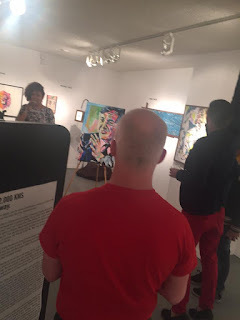 Many kind guests came over to chat and share their appreciation for what I was doing. 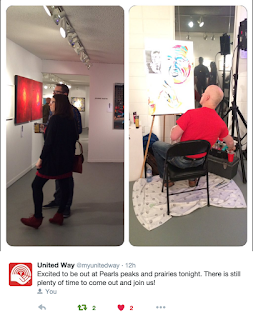 I wasn't completely alone, as there were a number of people from Fort McMurray at the evening, including the United Way's Diane Shannon and her husband Roger. AJ was also there from the Casman Group of Companies in Fort McMurray, wearing his other hat as one of the partners in the MinBid group, who had invited me to participate. There were two surprise reunions at the event. Darren Bolz is one of the partners in the MinBid group and a fellow artist showing at Pearls, Peaks and Prairies. We acted together in Death of a Salesman in 2000. I hadn't seen him in 14 years and enjoyed a delightful visit. Leslie Chivers was also there, a former long-time resident of Fort McMurray. 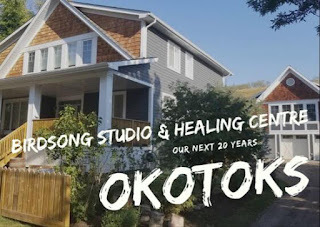 It was exciting to hear that he is also embracing creative pursuits as a mid-career shift. I'm looking forward to getting the painting that I've called "The dream of Alberta" into the studio back home to do some finishing touches and get a decent picture. The lighting in the gallery was great for viewing, but not the best for capturing a photograph. You'll see that I went down a slightly different path in terms of my brush strokes with this one. 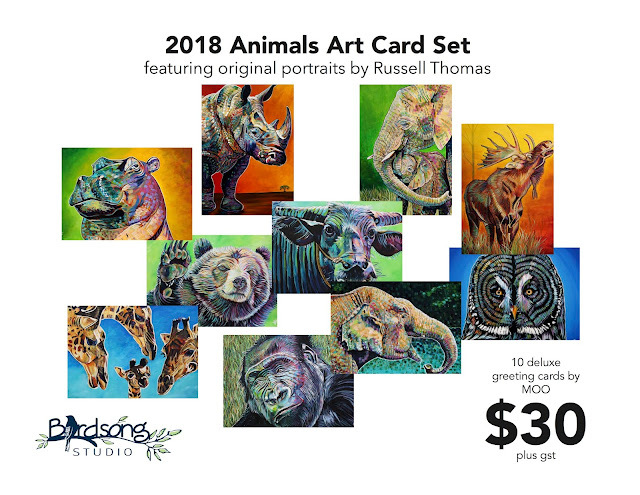 My thanks to Terry Whitehead, Managing Partner with Alexander Whitehead in Calgary (and one of the MinBid partners), for purchasing the piece in support of the United Way. He paid $500 and his colleague threw in an extra $250 for a total donation of $750 to the cause. "It should have went for two or three thousand," he said. "It's a great piece." However, by the time the auction happened, most of the attendees who understood the importance of the subject had departed for the night. It's all good though, we raised some money and sparked some awareness of a great Premier with the younger patrons. 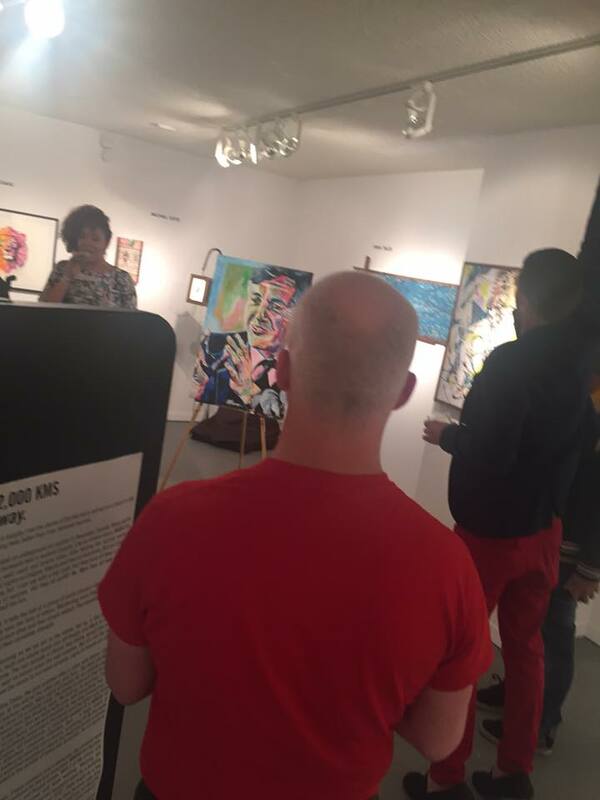 The story of this painting and how it will benefit United Way has only begun. 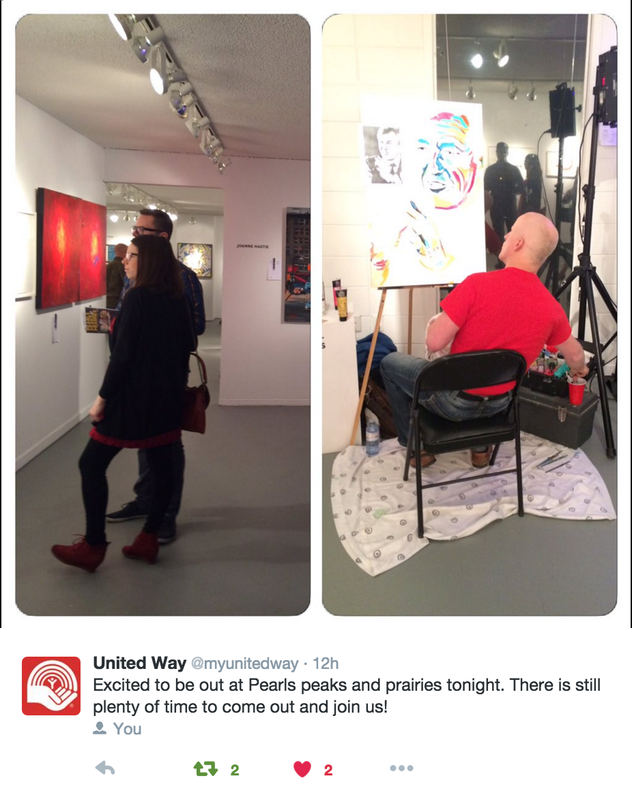 Terry and his MinBid colleagues are planning on doing the event in Fort McMurray in 2016 and will be gifting the painting forward to be re-auctioned on my home turf to support the community and the United Way. Meanwhile, between now and then, Mr. Lougheed will hang in a place of honour as a reminder of his legacy of leadership in this province.